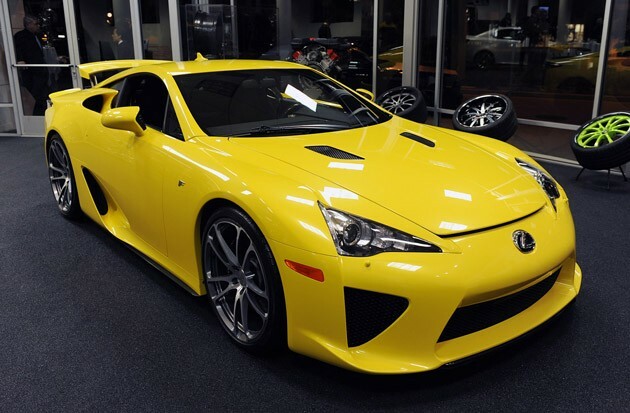 Los Angeles-based tuner CEC has announced a new partnership with Lexus North America to create a tuning program for the Lexus LFA. Limited to just three vehicles, these unique supercars will feature a variety of enhancements created specifically for each customer. "We believe these three CEC Tuner Edition LFAs will be the most expensive and rarest of all the LFA supercars that Lexus will manufacturer and sell worldwide," said Sherif Yassa, Vice President of CEC. Thanks to the technical innovations that went into building the LFA, the CEC upgrades will mostly be limited to aesthetics. "We looked at the LFA and what Lexus engineers had done, and knew it would be crazy to try and improve it from a performance or engineering standpoint," said Claus Ettensberger, founder of CEC. Even so, the tuner has managed to squeeze an extra 10 horsepower from the 4.8-liter V10 and trimmed shift times to .15 of a second. While we don't have any photos of the trio of custom LFA supercars quite yet, CEC did have an LFA on display featuring their lightweight forged wheels. You can see high-res photos of the car in the gallery below. Photos copyright ©2011 Drew Phillips / Weblogs, Inc.CEC announces Lexus LFA customization program originally appeared on Autoblog on Sat, 29 Jan 2011 19:51:00 EST. Please see our terms for use of feeds. Time to start saving in GT5 for a standard LFA. I want. Idc if its a Toyota, it's beautiful.